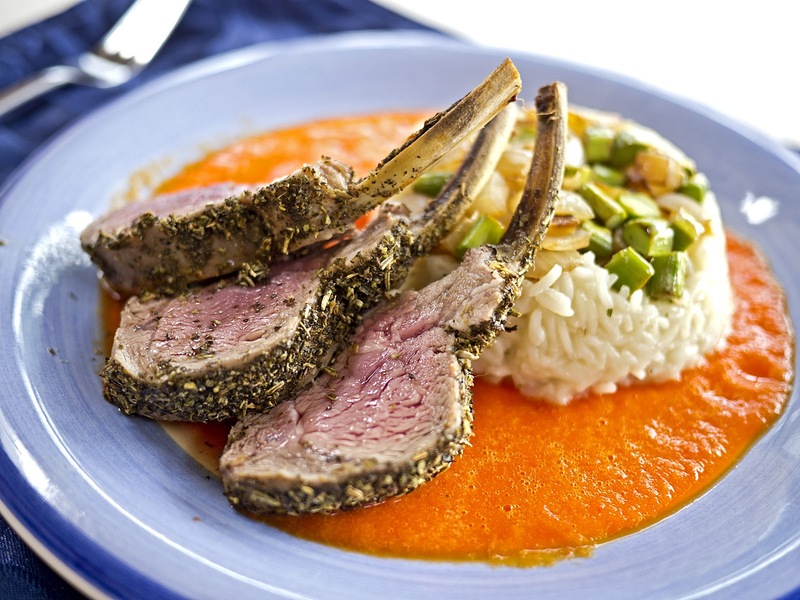 I love rack of lamb, but you don't very often see the meat for sale in the stores, so when I see one I tend to buy it. Lamb is probably my favourite meat, so for me this was a real Saturday night treat. Place all the herbs in a spice grinder with the salt and pepper and whizz until a fine powder. Use to coat the lamb. 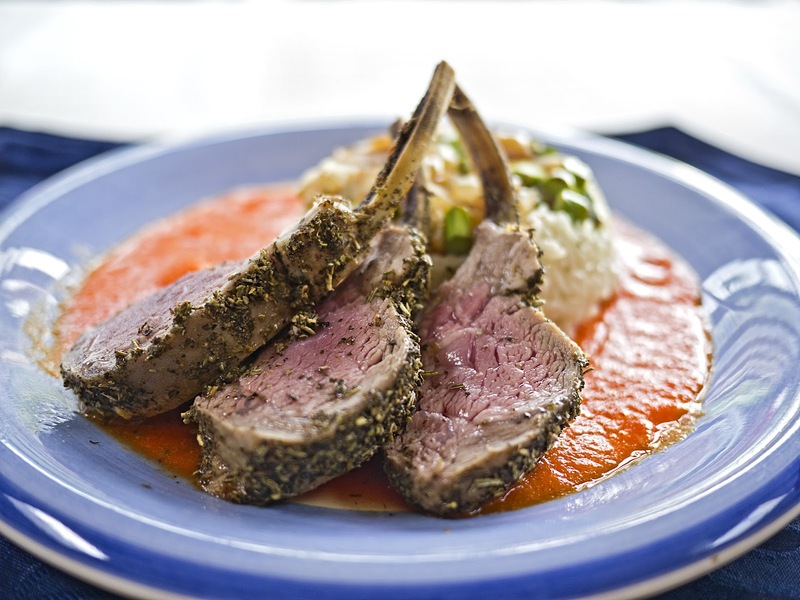 Cook at 200°C for 10-20 minutes depending on how well you like your meat cooked. For the coulis, grill the red pepper until it is starting to blister, then remove the skin under running cold water. Place in a liquidiser with enough water to make a runny sauce. 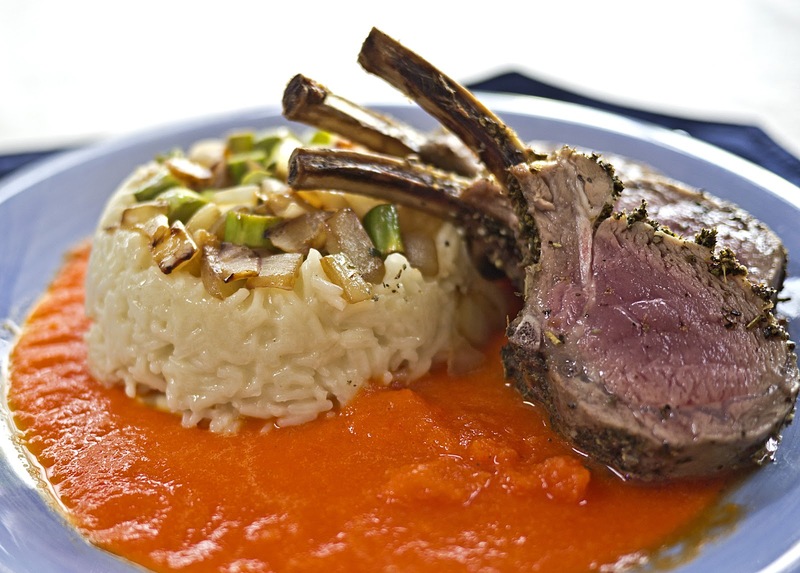 Heat on the stove and serve with the lamb. 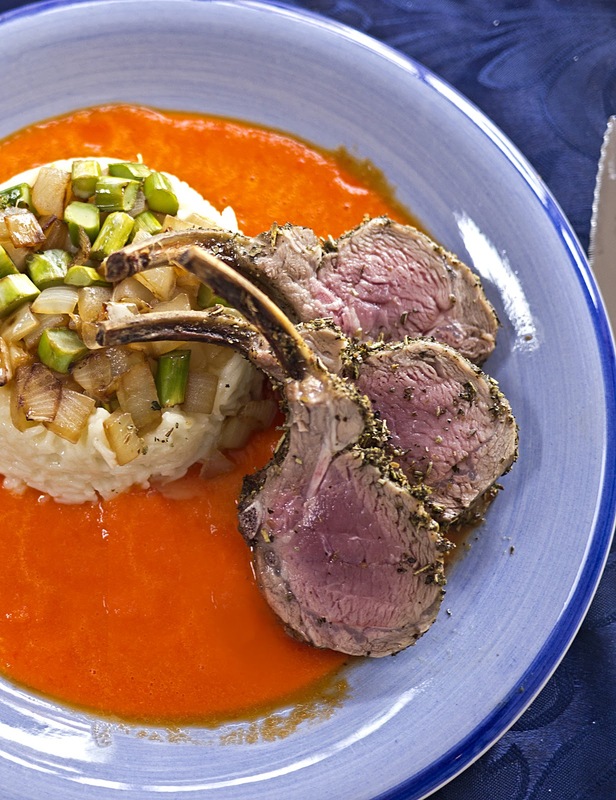 Cut the lamb into chops and serve with rice, vegetables and the red pepper coulis.